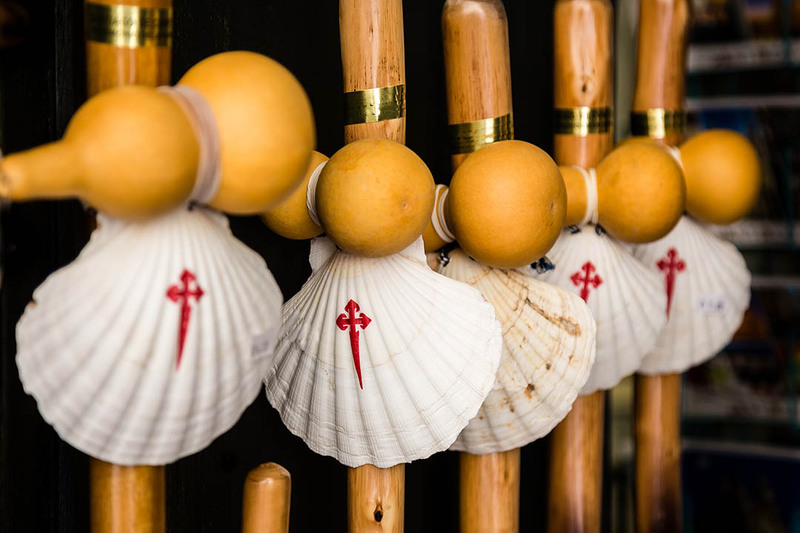 Join Traveleyes as we venture on the much-requested journey across the Camino de Santiago. 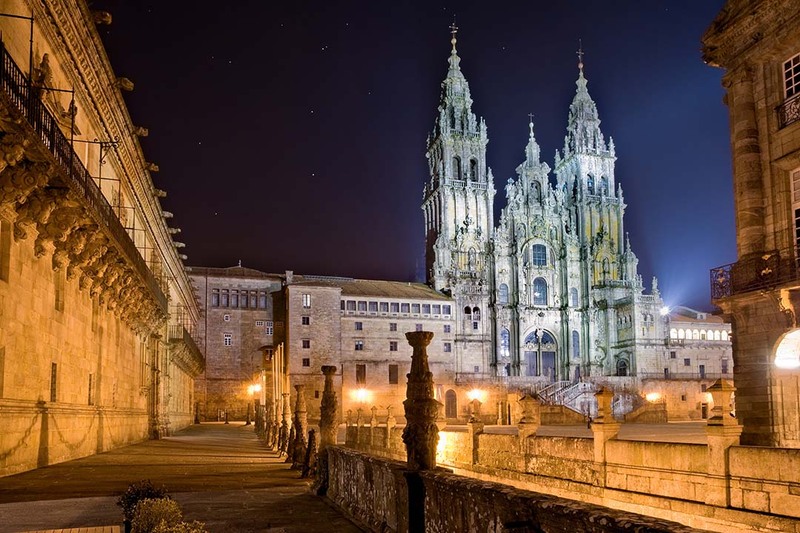 Across the tranquil Galician coast, we will tread the hallowed paths that lead to Santiago de Compostela and its awe-inspiring cathedral, the finishing point of all pilgrimages of Compostela. 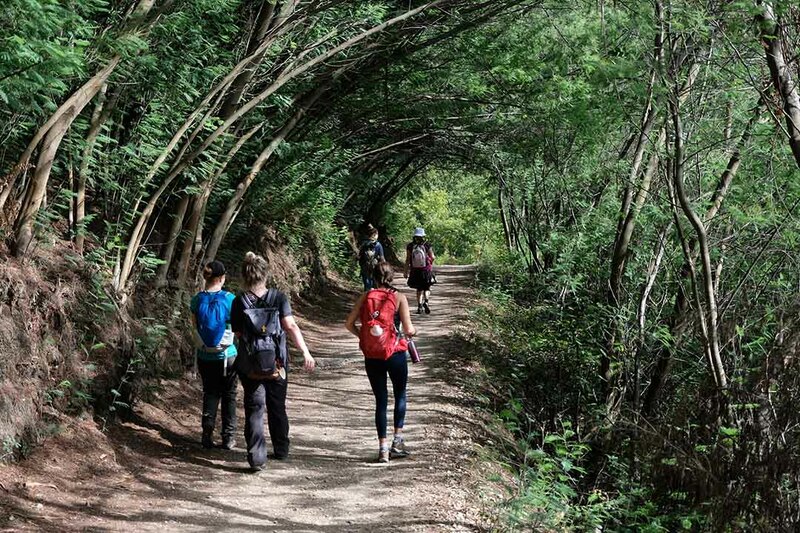 Travellers of any religion can take the Camino as a means to find some tranquillity, a moment of reflection amongst the trees and rolling green foothills of Galicia. Along the way, we will pass through quaint coastal villages with Romanesque churches and traditional restaurants making home-cooked fresh food. Galicia is renowned all over Spain for its cuisine, and the welcoming locals will wish us well in our endeavour while generously sharing some of their delectable local produce. Along this route, we will connect with sociable pilgrims from around the world as we all celebrate the completion of this truly unique challenge. We arrive into the airport at Santiago before transferring to Oia. Spend our first evening relaxing in this beautiful coastal village, which is also home to the Royal Monastery of Santa Maria de Oia. Here we shall enjoy our first included dinner together, sampling Galician cuisine that is revered across Spain. This evening we shall have our first brief regarding the week’s activities. Overnight in Oia. Dinner included. Our walk today shall take us along the breathtaking coastline of Oia to Baiona. We shall continue along this coastal path for 10km, with each and every step mirroring the journey of the pilgrims. 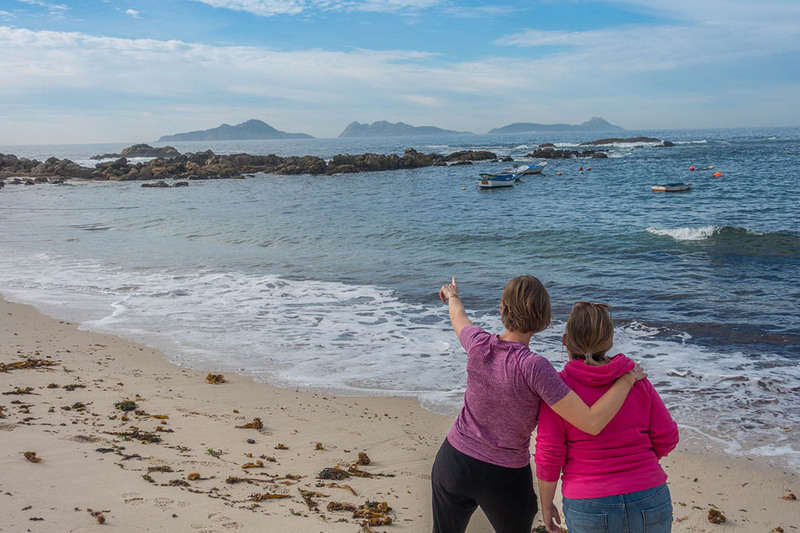 We shall then continue our walk along a wooden boardwalk, offering stunning views across the Atlantic Ocean and the Cies Islands before arriving at Baiona, our base for the evening. Baiona is full of a rich and fascinating history, such as the arrival of one of Columbus’s fleets in 1493. 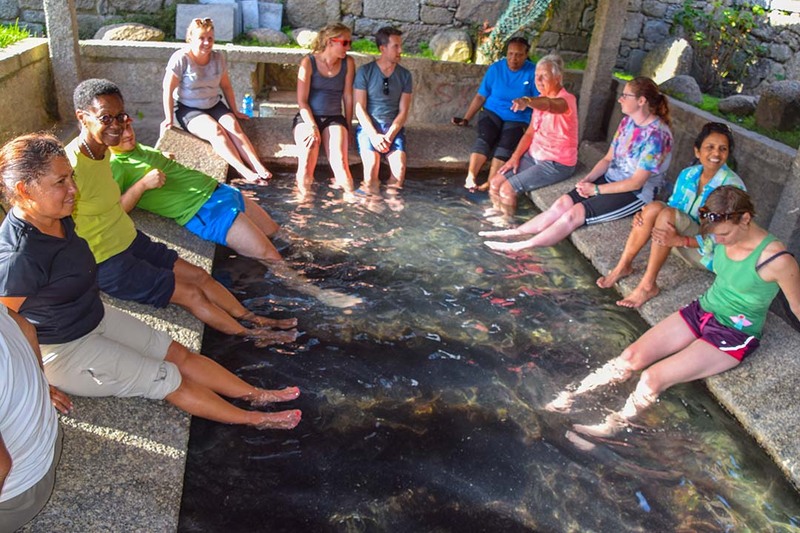 A mix of old and ancient buildings, a picturesque coastline and some delectable eateries: Baiona is the perfect spot for a touch of relaxation after our first day along the pilgrimage. Breakfast and dinner included. Overnight in Baiona. 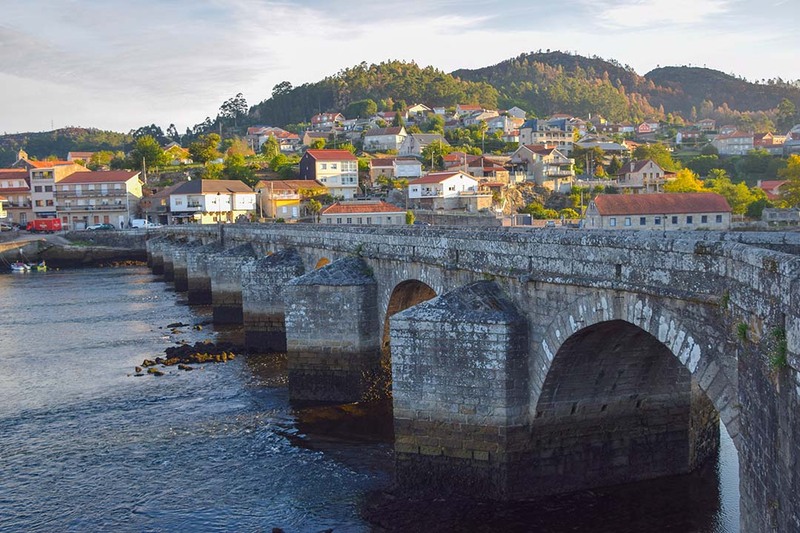 Today we depart from the gorgeous town of Baiona and continue our journey. For most of the day, our walk takes us alongside beautiful sand beaches, where we can once more take in the outstanding natural beauty to be found in the Galicia region. As we make our way across this gorgeous land, there will be ample opportunities to stop in local cafés along the beachside and sample some more of the sumptuous dishes this region is known for. 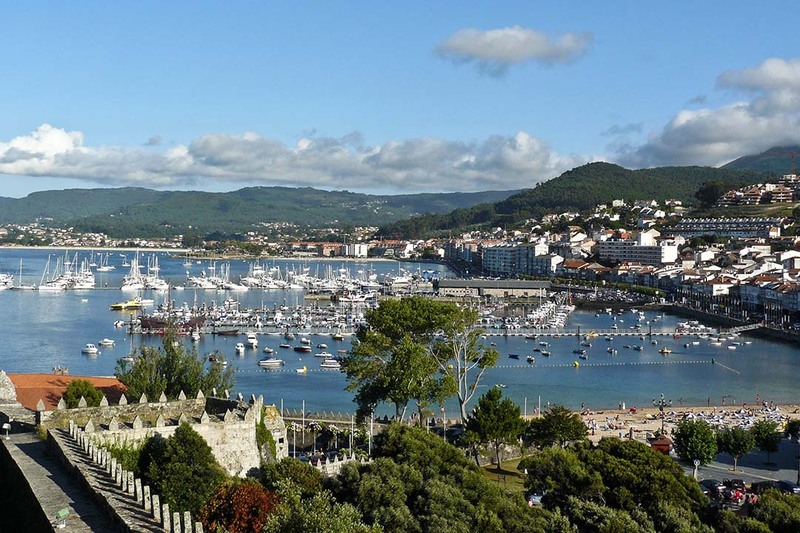 Later, we shall arrive into the outskirts of Vigo, a vibrant and varied city full of culture. Here we shall make our way through the maze of streets, along to the harbour before reaching the city centre. Vigo is home to the largest fishing fleet in the entirety of Europe, so be sure not to miss out of what promises to be some of the best seafood you’ll taste! Breakfast and dinner included. Overnight in Vigo. This morning we begin our travels with a short transfer to Redondela. Leaving Redondela, which is known as the Village of Viaducts due to the two 19th Century railroad viaducts in the town, we will proceed to the village of Arcade. From here we will cross a Romanesque bridge which is where Napoleon was defeated by the Spanish during the War of Independence. 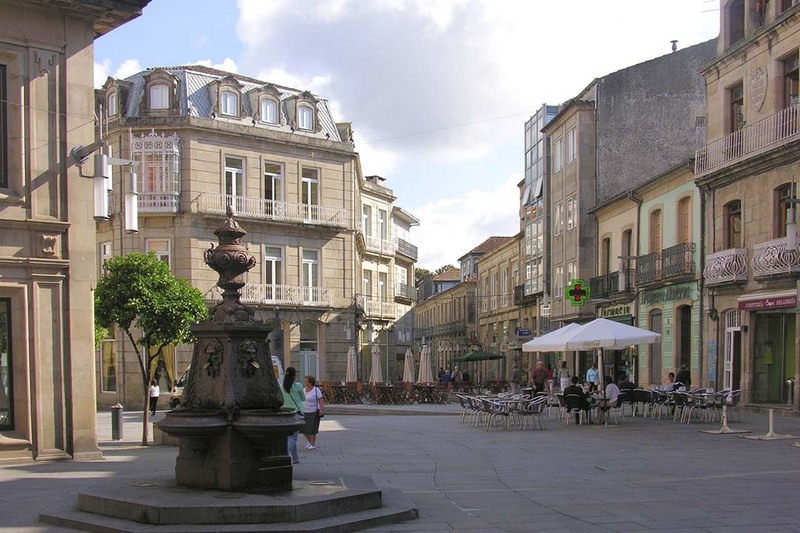 Arriving into Pontevedra, we will head through the narrow streets before reaching the 13th Century church of Santa Maria. Of interest to pilgrims, is also the Capela da Peregrina which although it appears round is actually in the shape of a scallop! Breakfast and dinner included. Overnight in Pontevedra. From Pontevedra, the Camino runs parallel to the railway whilst passing chestnut groves. Continuing through the hamlet of Ponte Cabras, we’ll come upon the rectory of Santa Maria de Alba, which is nestled among eucalyptus and pine trees. Leaving the thick woods of Lombo da Maceira we shall be greeted by a statue of Saint James the pilgrim with his staff pointing the way ahead. Before reaching Caldas de Reis, our stop for the night, we will pass a through the lovely village of Tivo. We shall arrive into Caldas de Reis, famed for its medicinal mineral waters that are said to help those suffering from all manner of ailments. Once more we shall enjoy a delicious evening meal together before retiring for the night. Breakfast and dinner included. Overnight in Caldas De Reis. Leaving the Roman-influenced town of Caldas De Reis behind we will cross the river Umia via a bridge that will lead us to a fountain of hot spring water for which the town is famous for. 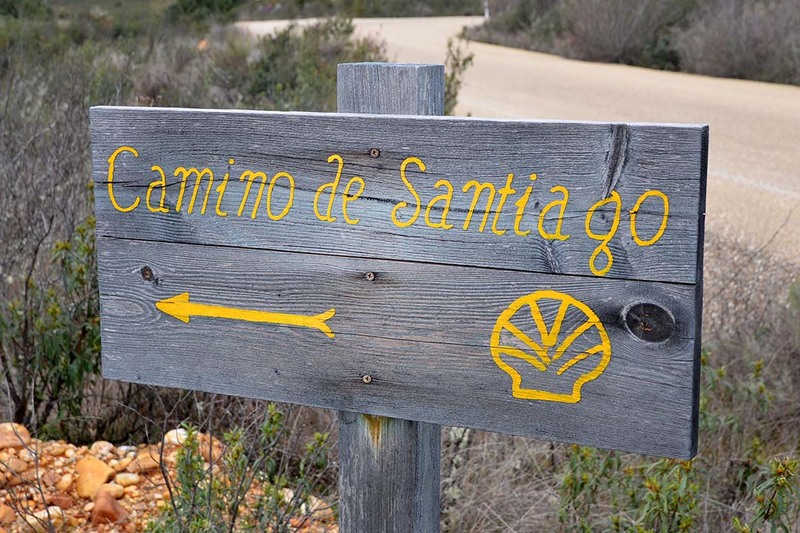 The Camino then enters a wood to ascend gently to the hamlet of Santa Marina, before then going downhill to cross the river Fontenlo. Following the pine tree-lined Camino we will then return to the river as you arrive into Padron which is famous for being the first land sighted by the ship bearing the body of Saint James. Whilst in Padron be sure to also try the peppers from this region and see if you get a hot one or not! Breakfast and dinner included. Overnight in Padron. Today the Camino goes through many small villages and hamlets to arrive at the Baroque sanctuary of A Esclavitude. Passing by the ruins of Castro Lupario, home to legendary Queen Lupa who is said to have provided the oxen to pull the cart carrying the remains of Saint James to Santiago, we’ll continue on to Agro dos Monteiros. It is now that we will get our first glimpse at the towers of the Cathedral in Santiago. 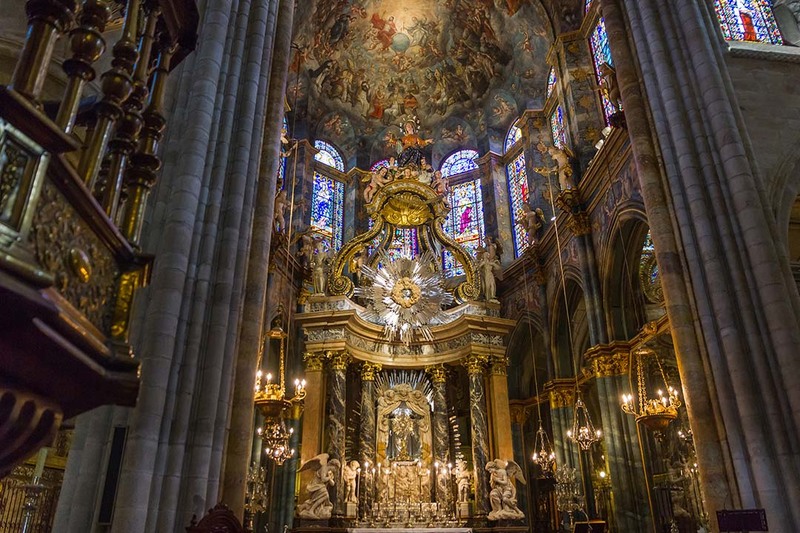 Santiago is a true architectural marvel, along with its atmospheric arcaded streets we can relish in the wonderful celebratory fever as we walk in the footsteps of so many before in this cultural and spiritual mecca. Finally the Camino goes by the ruins of a castle known as A Rocha Vella, before arriving into the city of the Apostle. Breakfast and dinner included. Overnight in Santiago. Today we depart and begin our journey back home! Please note a good level of fitness is required for this trip as it is geared towards people who are capable of enjoying walking for up to 28km/7 hours every day. You are required to have an intermediate to advanced level of experience doing such distances. The walks will be in the undulating countryside; some walks will involve shorter but steeper technical sections; others will include more gentle, but longer ascents and descents. There are the occasional steep sections, at times a series of steps, as well as sections with loose rocks underfoot, but there will be no scrambling or climbing. There may be opportunities to opt out during the walks, however, these are limited, so it is crucial that you are well prepared for the walking involved. In the interests of your safety and the rest of the group’s enjoyment if, at any time, the tour manager or walking guide feels that you are not suited to a walk or are not able to complete a walk for any reason, they may, at their discretion, request you to stay behind or return to the hotel.